Apply for retirement benefits four months before you want them to start. With nearly 63 million retired workers getting Social Security benefits in 2018, the Social Security Administration receives many applications each month. If you’re about to apply for retirement benefits, you can do so by visiting your local SSA office, or you can apply online, by phone or by filling out an application and mailing it in. You will get a letter from the government agency informing you of the decision. While processing times depend on the accuracy of your application and the number of applications in processing, you can generally expect it to take around six weeks to process your Social Security application and begin your benefits. The period from when you submit your application to when you learn if you’re approved or denied varies. It can take the SSA about six weeks to process your application and start your benefits. However, it might take longer if you supply incorrect information, or the SSA requests that you provide additional information to process your case. The number of applications sent to the SSA for retirement benefits could also contribute to a longer-than-usual processing time. Some of the information needed by the SSA includes your birth certificate, Social Security number and financial documents such as W-2 forms and tax returns, if you’re self employed. If you were not born in the United States, you have to furnish documents supporting your citizenship, such as a passport or Certificate of Citizenship. If you’re married or have children, you might need their information as well. You don’t need to have all the documents in hand before applying, so don't let this stop you from getting your application in. The SSA encourages you to go ahead and apply anyway, and they will notify you to supply the missing documents later. In looking over your application, the SSA determines if you can get higher benefits off your spouse’s record or your spouse can get benefits off of yours. The agency might also determine if your children qualify for benefits on your record. If any other family members get benefits off of your record, it won’t affect your retirement payments. If you have previously submitted an application or claim for other Social Security benefits or Medicare, it may not be necessary to provide certain information as it is already on file. When supplying your documents, the SSA needs the originals or copies certified by the government agency that issued them. Copies that are not certified are not accepted, so do not bother sending these forms to the SSA. You will get your documents back unless you inform the SSA you don’t need them, at which point they will destroy them for you. Social Security Administration: Retirement Planner: What Documents Will You Need When You Apply? 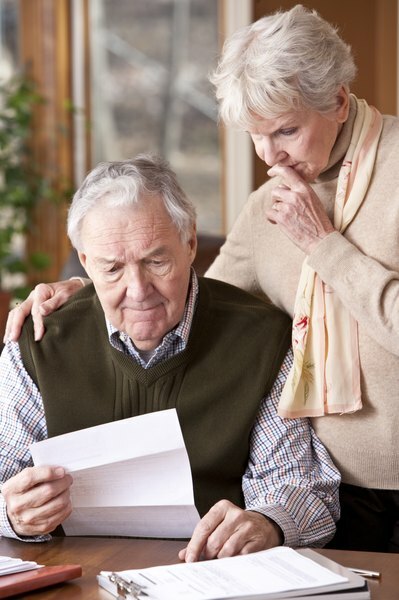 Can I Take My Spouse's Social Security Benefits if They Are Less Than Mine?